Roof installation is always a delicate process that requires solid planning and execution. That's where we come in at Lake Norman Roofing Pros. The roofs we install are made to not only stand the test of time, but to be the most ecofriendly, energy efficient, and affordable roof installation packages on the market. Our roof installation services are cost effective in the long run, built with professional care to prolong the lifespan and improve the efficiency of your roof for the long haul. For those in the Huntersville, North Carolina area, Lake Norman Roofing Pros is your choice for full roof installation services. Lake Norman Roofing Pros provides the most comprehensive catalogue of options when it comes to roof installation solutions. Our team of highly experienced professional contractors knows all the ins and outs of our business. Regardless of the type of roof you want, our company has an affordable and durable solution for you. The types of roof installation services we offer include green roofs, solar solutions, triangular fillets, and membrane solutions using copper or aluminium surfaces. We also membrane seal terraces, tunnels, concrete decks, parking decks, and bridges. When it comes to roof installation solutions, our company works in direct consultation with our customers to achieve full transparency as well as the desired results. When it comes to slapping a new roof on a new building, not just anyone can do it and maintain full optimization potential. 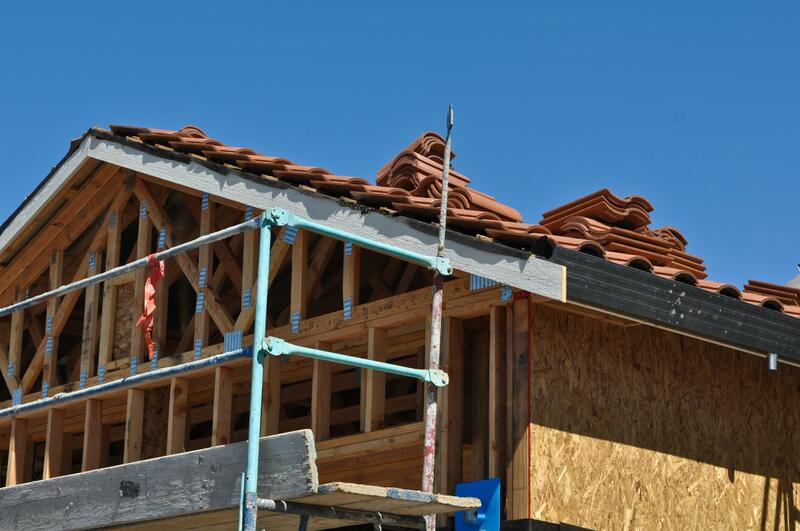 Roofs are tricky parts of any construction process, which is why its always a good idea to call in the specialists. Roofs must be set right for proper durability and in a way in which the lifespan and utility of the roof are maximized. Our professional contractors at Lake Norman Roofing Pros are fully licensed, certified, and insured to perform all roof installation steps. Ask to see our credentials! We don't mind showing them off and recommend going with a proven professional every time. An often overlooked aspect of roof installation is ventilation. These means that there needs to be a semblance of balance in terms of the amount of air intake at the soffits and air exhaust at the roof's top ridge. Our roof installation at Lake Norman Roofing Pros guarantees optimal ventilation for your new roof. Poor ventilation on your new roof can lead to a variety of problems down the road. Shingles can overheat and delaminate, for example. Tile roof underlayment will also not enjoy the longevity it would were there proper ventilation. Our comprehensive roof installation services include paying close attention the vital functions of ventilation. Investing in a new roof is not a small decision. It's a major event for any house or building. There are various factors that impact the cost of new roof installation. As we at Lake Norman Roofing Pros are interested in saving our customers money, we will work with our customers directly to pinpoint and mitigate those various costly factors. We want to install the best roof at the best price for our customers, with all the customization options on the table as well. There's a fairly large price range between different types or roof installation projects. The cost is determined by the size, materials, and considerations. Our company is committed to going down an itemized list of new roof considerations to get you the best final product for your investment.